Every time New York Fashion Week starts up, there are always a few standout designers that are able to transport onlookers into another world with the use of music, setup, and of course, the garments that are presented on the runway. 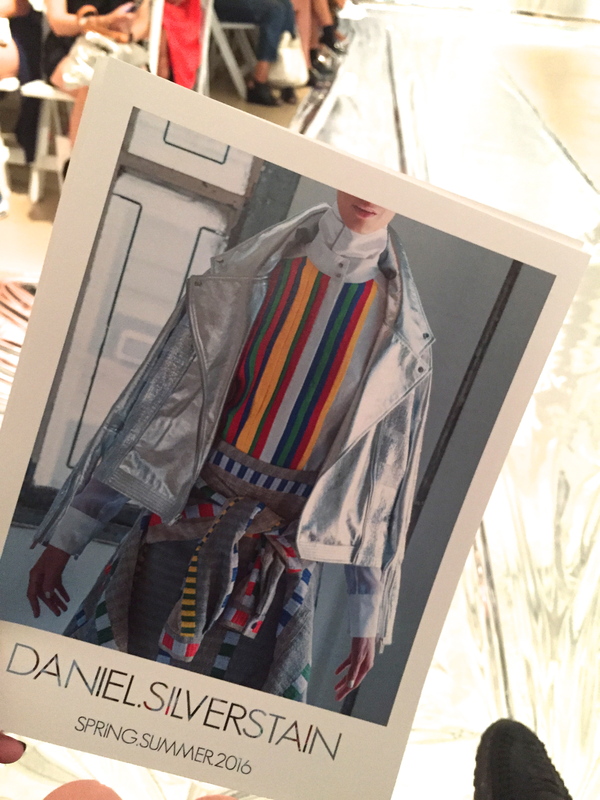 Daniel Silverstain, an Israeli born yet New York City based designer, is one that accomplished just that with his use of minimalism on a very metallic runway. His show on Wednesday Sept 9th,2015 projected an ambiance that made it feel as though you were transported hundreds of years into the future (a more fashionable sequel to Back To the Future for sure). Each look had elements of primary colors and modern silhouettes- Reds, blues, greens, and yellow hues complimented one another on the bodice of each model. Metallic accents were incorporated into several outerwear pieces, adding to the distinct & cutting edge atmosphere surrounding the audience. Neutral pales as well as bright geometric shapes flawlessly bridged a gap between modern and retro. One of the boldest looks of the show incorporated a simple thick line of blue surrounded by white with a metallic copper pairing of culottes and a leather biker jacket. If this is what future fashion is supposed to look like, we want to be a part of it!